264 pages. 275x215mm. Printed on gloss art paper with colour laminated board covers. 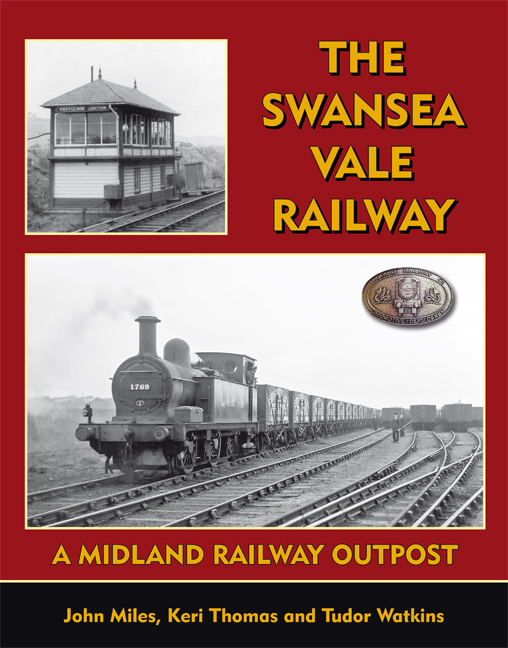 Although nothing of significance remains of it today, the Swansea Vale Railway was a major factor in the life of the Swansea Valley, Cwmtwrch and Brynamman for well over 100 years. 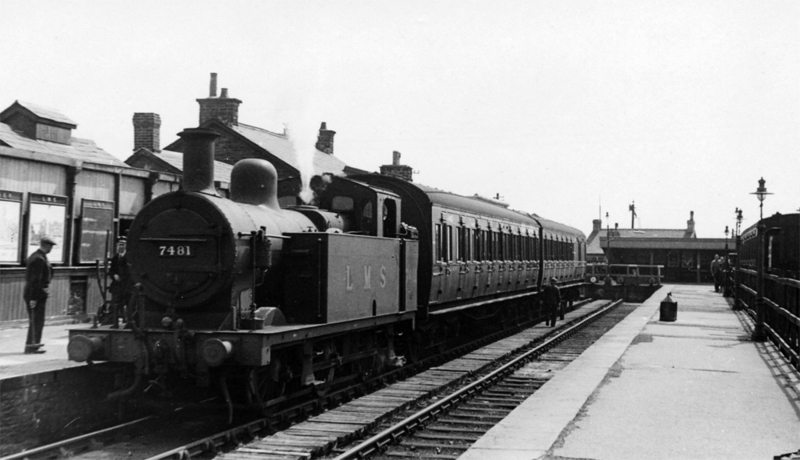 Originally an independent concern, it was taken over by the Midland Railway and hence linked through to the rest of the UK via Brecon. This lavishly illustrated book, a considerably enlarged version of an earlier volume published in 2004, tells the story of the railway, its employees and passengers, and contains many new maps, along with a large number of new previously unpublished pictures. The photographer has now moved slightly further north and to the west. The view is looking east from the site of Tirbach Brickworks towards Gurnos Junction signal box and the bridge over the Twrch, this being another timber viaduct. The probable reason for this series of photographs becomes apparent when one looks at the river banks. On the right there has been significant erosion, and on the left there is what looks like recently installed concrete benching; the Twrch is a steep river and liable to flash flooding. 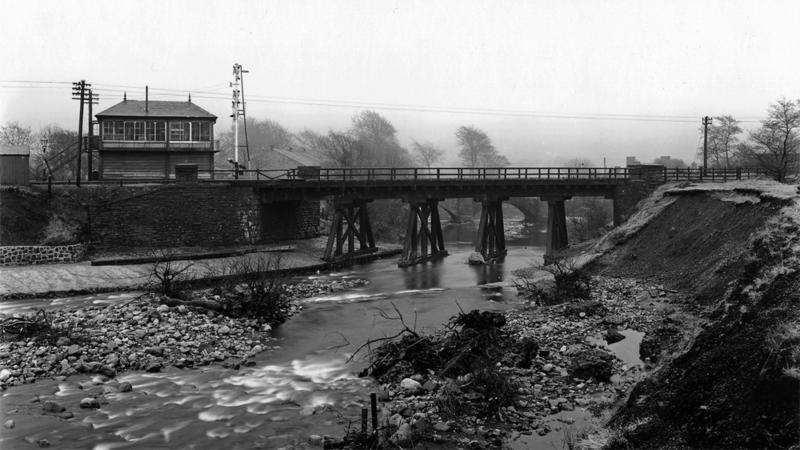 The Midland strengthened the bridge with raking piles in 1898 but it was always a maintenance headache and even towards the end of the SVR there were plans to replace it with a concrete bridge.